Thank you to NeWest Press for sending me this book in exchange for an honest review. Half-Asian teenager Grace (but she’d prefer it if you called her “Gray” instead) is not a perfect little supermom-in-the-making like her older sister Jessica, and would rather become a marine biologist than a mother—although she does understand how to take care of her special-needs kid brother Squid better than anyone else in her family. When her mother Belinda abruptly runs out on her family and flies across the Atlantic in order to study crop circles in the English countryside, Grace is left alone to puzzle out her life, the world, and her unique place within it. With a warmth and a boisterous sense of humour reminiscent of Miriam Toews’ A Complicated Kindness and Peter Hedges’ What’s Eating Gilbert Grape? 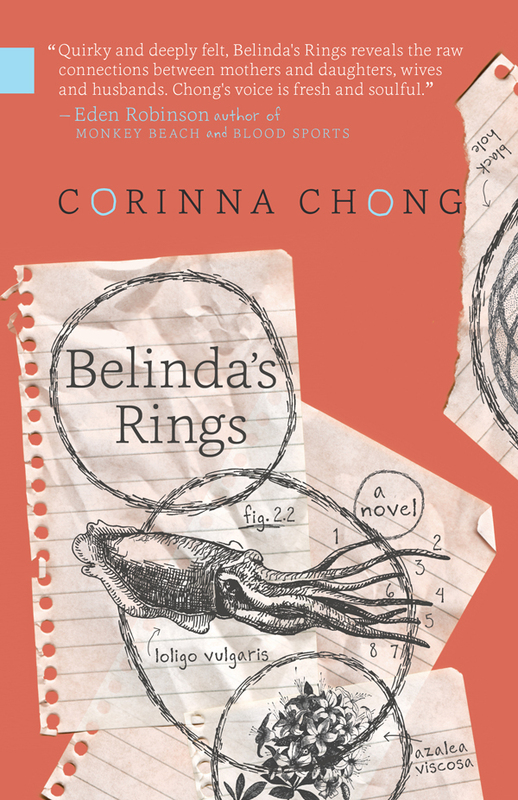 author Corinna Chong introduces us to two lovable and thoroughly original female characters: persnickety, precocious Grace, and her impractical, impulsive mother Belinda—very different women who nevertheless persistently circle back into each other’s hearts. Before I start the review proper, let me get a few cliches off my chest: Stunning debut. Unflinching. Courageous. Belinda’s Rings is about a lot of things. It’s about being a parent and being a sibling and being a child. It’s about mental illness and race and marginalization. It’s about perfect circles on the ground and lights in the sky and creatures in the sea. But most of all, it’s about mothering. And in a media environment that is sorely lacking in any nuanced discussion of motherhood (“Mommy Wars,” anyone?) it is so satisfying to read a take on motherhood that had me nodding in agreement and wincing in horror all at once. The characters are the greatest strength of Belinda’s Rings. The other elements work so well because they are anchored by Belinda and Grace. A lesser writer could have easily taken things into quirky-for-quirky’s-sake territory, with the UFOs and crop circles and giant squid. The symbolic weight of these things, and the symmetry of Belinda’s three rings, and Squid’s three mothers, and finding out that actual squids have three hearts, are a little heavy-handed at times, but it’s grounded by great writing. We get narration from both Belinda and Grace, but this is really Grace’s story. The first thing that made me smile about Grace is that she wants to be a marine biologist. Is it just me, or did a LOT of girls want to be marine biologists in the 90s? I love how normal she is. Teenagers tend to be written as overwrought, modern-day characters in a Greek tragedy (see: my only quibble with The Fault in Our Stars) or as shallow caricatures. Grace is neither. She talks just how I remember talking to my friends as a teen. She’s intelligent, but definitely doesn’t have all the answers; nor does she make grand, poetic speeches. And then a weird thing happened. All of a sudden, I started to cry. I started thinking about how ridiculous it was that Squid was so happy to see me, that he didn’t care that I was late, and then I was crying. It just happened, like that. Grace reveals a dark side of the sibling/mother relationship that happens when an older sibling becomes a caretaker for a younger child. This dynamic is further complicated by the fact that Grace’s father is Chinese, while Belinda, her second husband Wiley, and their son Squid are all white. Grace is thrust into a parental role to a child who is a constant reminder that she’s different. It’s slowly revealed just how much of the mothering Grace has taken on over the years, and the price she’s had to pay. For me, the true climax of the story (which I won’t reveal, of course!) comes in a flashback to when eleven year old Grace is caring for two year old Squid alone and things get terribly out of control. Seeing as I don’t always feel up to the task of caring for a toddler, and I’m an adult with a decent support system, I knew this was a disaster waiting to happen. This section of the book was incredibly hard to read, in the best way possible. As for Squid’s actual mother, Belinda embodies the unrelenting, suffocating, and disappointing aspects of motherhood so well I found myself sympathizing with her even as she abandons her family. I get the sense that Belinda had been adrift for a while. I kept picturing her floating just above the ground instead of walking like everyone else. She resented Sebastian’s fixation on her as much as she resented Wiley’s unsolicited advice; as far as she could tell, she hadn’t done anything to provoke either. The other daughter, Jess, though a minor character, was heartbreaking. I get the sense that she’s completely sidelined within her own family. She’s painfully normal in a family full of rather large personalities. I identified with her a lot, which is a little uncomfortable as she’s not a very likable character! Each of the minor characters get their moment to shine. For a relatively short novel, Chong doesn’t waste any words. Every scene is meaningful. I’ve made this book sound pretty depressing. It absolutely is, but it’s also a great character study, a wonderfully paced and structured story, and a refreshing take on motherhood. And, if you grew up in suburban Alberta in the 1990s like I did, you’re going to recognize a lot of familiar sights and sounds, too. I’m going to go back to those tired cliches and say that Corinna Chong is a startling new talent on the CanLit scene, and I can’t wait to see what she’ll do next. Corinna was kind enough to answer a few of my questions. 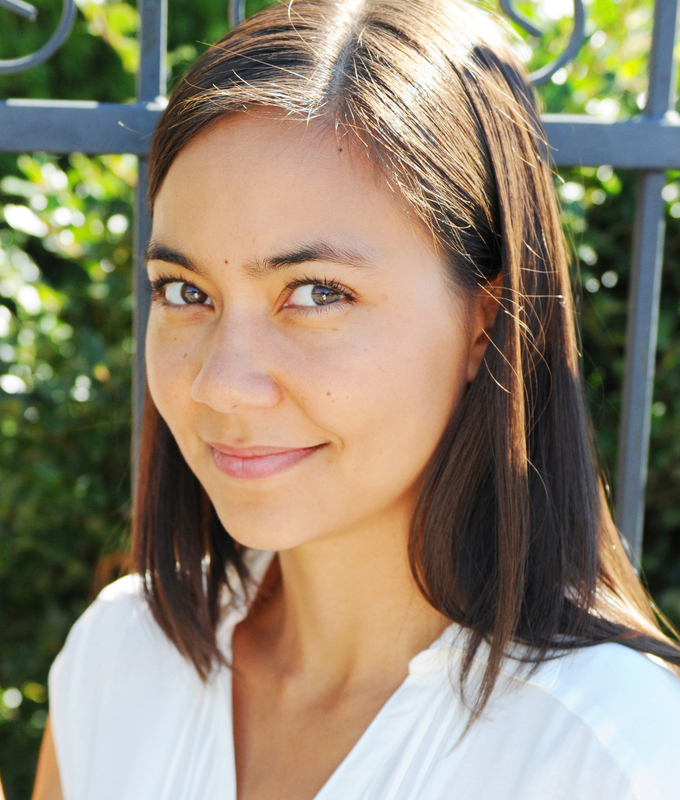 You can follow Corinna on Facebook, Goodreads, or on her website. You can also listen to her talk about Belinda’s Rings in this podcast from publisher NeWest Press. Did any books or authors influence Belinda’s Rings? One book that came to my mind was White Oleander – am I off base? I’ve heard of White Oleander and have been meaning to read it for some time, but I haven’t yet gotten around to it. I’m thankful for the comparison to what seems like a wonderful book! Fred Wah’s Diamond Grill was very influential to me for the way it deals with mixed-race issues. Miriam Toews’s A Complicated Kindness and J.D. Salinger’s The Catcher in the Rye certainly influenced the development of Grace’s voice. I’m in awe of anything by Alice Munro, and I would be delighted if my own work could emulate even a trickle of her striking perceptiveness on the everyday lives of women. Did any music influence your writing? Did you listen to anything while you wrote? I tend to work best in silence so that my head has the space to wrestle with sentences. I have to stay away from music with lyrics, as I’m easily distracted by them. I listened to instrumental music like Philip Glass and Arvo Pärt on some occasions. Grace didn’t have a romantic interest. Neither did Belinda, really, not in the present tense. Did you ever intend for there to be a romantic element to the story, or, did you make a conscious decision to focus on other things? I’m more interested in exploring family relationships than romantic relationships in my writing. I wanted to create some tension between Dr. Longfellow and Belinda and also Rich and Belinda near the end, but it was never my intention for those relationships to actually materialize into romance. Instead, I wanted to convey how Belinda is continually drawn by the possibility of a fairy tale. She searches for romance everywhere, not realizing that it comes from her impulse to be defined by others because she lacks a strong understanding of who she is herself. In a sense, she keeps falling back on romance because it’s easier for her to believe that someone else can alleviate the dissatisfaction she feels than to accept that the change has to come from within. You’ve mentioned that the characters are somewhat based on your family. How did your family react? Did anyone feel they were portrayed negatively or unfairly? My family is incredibly supportive. No one has yet voiced any serious concerns, although my mother did confess she found the novel difficult to read at times because of its closeness to our family’s past. I think that she is worried about the connections people might make between her and Belinda, but is refraining from saying anything because she wants to be wholly supportive and encouraging (which I am grateful for!). While my family provided a base to work from, ultimately the novel is a piece of fiction, so the characters are inventions in the way that their personalities are magnified and their conflicts dramatized. Some of the events in the novel did really happen in some form, and others were entirely made up. So I think this gives my family members a defense when people start making comparisons. My hope, however, is that my family is not offended by the way I’ve portrayed the characters because I’ve tried to draw all of them as sympathetic characters. I see all of the characters as flawed in their own ways, but none of them as villainous or loathsome. Hopefully that comes through in the writing. I have a lot of favourite classics, but I think 1984 or The Catcher in the Rye would probably take the cake. Close behind would be Pride and Prejudice and Mrs. Dalloway. Have I convinced you to give this book a try? Why not enter to win a copy? 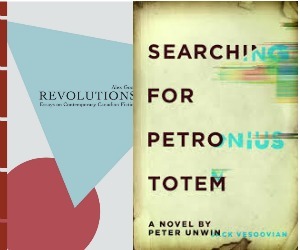 This Goodreads giveaway is running until April 5th, 2013. Laura, I really enjoyed this review – I hadn’t heard of this book until you mentioned it a while back, and now, after reading this, I’m more than intrigued. And there’s always something neat about reading a book that is set in a place/city that you know. Plus, I loved A Complicated Kindness and White Oleander (even if the author wasn’t influenced by that one). What was the appeal of being a marine biologists?? I didn’t get it back then either! Is Corinna having a signing in town in the near future? Yes, May 15th, just waiting on details and I’ll let you and the others know if case anyone wants to come! It will be a few authors from NeWest Press I think. You are very witty. I too wanted to be a MARINE Biologist, and a MARINE. The biologist for the Dr.Do Little element, and a MARINE so I could carry a BIG gun and know how to chop-chop bad guys. I also wanted to be a Mom, and have a cute little daughter, which I did thank God! who liked books and who now blogs and brags about it. You wrote a great review of a book which I am now going to leave work early so I can buy it and read it. SKip all Atwood books, save them for a rainy day in your next life. They make great door stoppers. Ciao’!